So far Danielle Anderson has created 28 blog entries. AAFT wants to encourage and support networking and professional development for family therapists in rural, regional and remote areas of Australia. Want to run a Professional Development Event, and could use some financial help to make it happen? Do you have peers doing family work who would like to meet up regularly, and you need to hire a hall? AAFT is committed to supporting qualified practitioners of family and systemic therapy in rural, regional and remote areas of Australia. Tertiary qualified professionals in health or social sciences including the fields of counselling, social work, psychology, psychotherapy, psychiatry, nursing, teaching, chaplaincy, and occupational therapy. Other applicants with significant relevant work experience and therapeutic aptitude will be considered. As of the 2018 AGM there is a vacancy for the position of Convenor on the AAFT Ethics Committee. AAFT is in the process of appointing an Ethics Convenor. In the meantime AAFT office with the support of the President will respond to any urgent queries. We apologise for any delays. Some of you may have already been informed of AAFT ‘s decision to temporarily suspend its membership of PACFA. It is most unfortunate that this information was not directly conveyed to you, as intended and for this we apologise. It would have indeed been more prudent to have made this knowledge known as soon as possible to our members however there were details with PACFA that required finalisation. 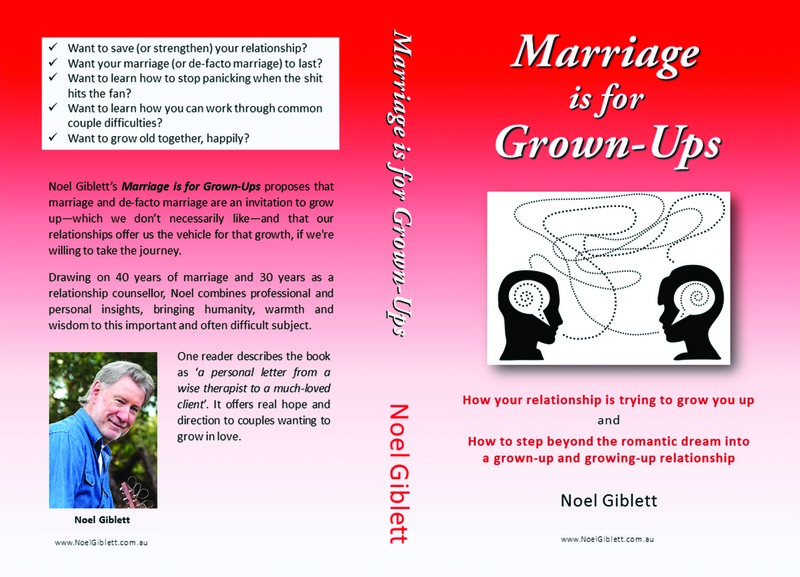 Noel Giblett is a Clinical Social Worker with 30 years as a relationship counsellor and 40 years of Marriage. His book titled ‘Marriage is for Grown Ups’ is for those Relationships and Marriages that are strongly committed and into enriching their relationships. Noel has provided the reader with a mix of his professional experience with personal insights and wisdom. There are some very interesting chapter titles such as ‘Men are from Earth, Women are from Earth,’ a play on ‘Men are from Mars, Women are from Venus’. ANZJFT is committed to producing a high quality Journal, which is also directly relevant to the busy practicing clinician. We offer Grants of up to $500 each to support ongoing professional development and promotion of family and systemic therapy practice.